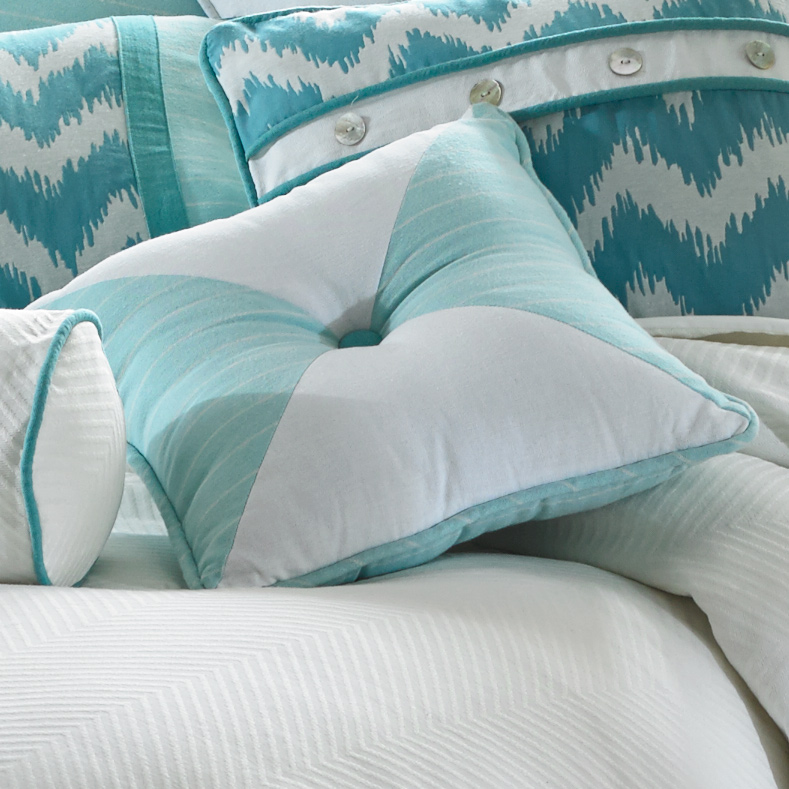 Add luxury to your bedroom with the Catalina Windmill Accent Pillow. This coastal decorative pillow features white solids and aqua and white stripes in a windmill design for true coastal style. Ships from the manufacturer. Allow 1 to 2 weeks. For even more pieces, we encourage you to take a moment to go through our thorough inventory of coastal decorative pillows at Bella Coastal Decor today.